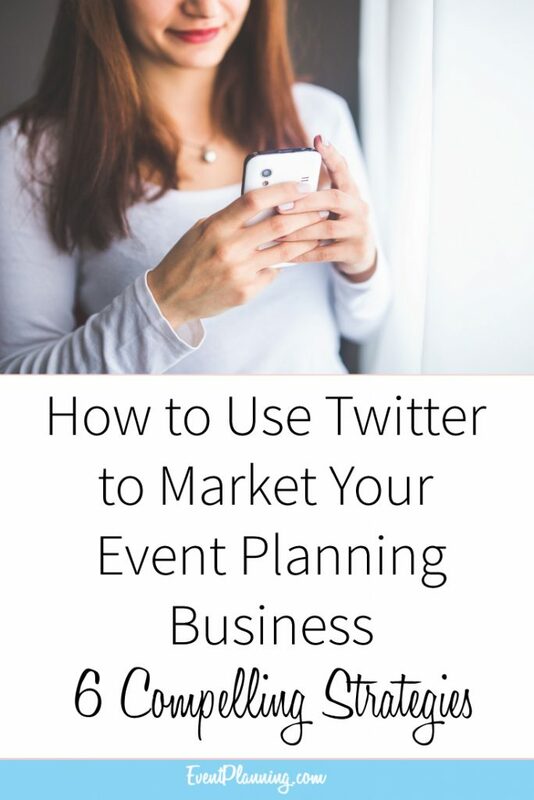 Twitter is just one of many social media tools available to event planners, but it has become one of the fastest growing ways to network. Below you will find a series of tips as to why Twitter is a good idea for your Event Planning Company. People are on Twitter at all hours of the day. When a tweet goes out, many people will see it and it may land in front of your next potential client or referral. In other words, one tweet can be the start of an entire conversation. To be sure your tweets are seen by the right audience be sure to include the most commonly used keywords to attract the audience you’re going after. Are you looking to add to your vendor list? Are you looking to network with local bakeries, music companies, bands, or even bridal outlets? This is a great method for adding those connections. Twitter gives recommendations of people to follow based on your interests. Be sure to pay attention to these suggestions. With the search feature of twitter (search.twitter.com), you can look up a variety of topics that are of interest to you. This is also the same way others can find you which is why in tip #1, we mentioned to use keyword-rich tweets. Twitter allows you to describe and position yourself in any way you want by using the tagline and intro areas. Be sure you are maximizing this so potential customers and vendors know everything they need to know about you within a few seconds of reading your profile. Twitter is filled with writers and bloggers. What does that mean for your event planning company? It means reaching out to others by giving them valuable information about the planning industry as well as your company. If they like what they see, they could write about it and you can get a large new following you didn’t expect. They key is to make sure all of your tweets add value to your readers. Not only will you find new vendors through twitter, but you will also find other influential people in the industry. People you could bounce ideas off of; get advice from; and hold networking events together. Occasionally there are twitter parties and meetups being put together in which a certain brand or company hosts a twitter party based on a specific topic. Seek these events out in the events and meeting industry. With the utilization of hashtags (a # followed by a topic) you can easily pinpoint those talking about the same topics as you, and anything related to your business. If you are involved in planning a big event that people are looking forward to, Twitter is a great way to get the word out. It helps to promote the event or service because often times you’ll have followers in your local area. It can also help to promote your company website or blog. Keep in mind, that with any social media platform, it is best to have a strategy for how to use it ahead of time. Twitter is the start of a conversation piece with others – so be sure your tweets and ideas are well thought out beforehand. Lastly, social media is meant to be interactive and fun, so make sure you are maximizing both of those aspects. I really love twitter! so many people communicate on it, you HAVE to join as an event planner. i require that my company tweets 3 times a day. I’m learning Twitter and these ideas are great. I’ll try putting them to use!